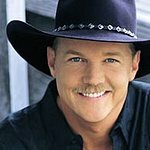 The American Red Cross honored award-winning country music star and Red Cross spokesman Trace Adkins last week with the Crystal Cross for his support of the humanitarian organization. The Crystal Cross award honors celebrities who have shown exemplary support of and service to the Red Cross mission. Adkins was personally helped by the Red Cross when his family survived a fire and he joined the American Red Cross National Celebrity Cabinet in 2012. During last week’s awards ceremony, Adkins entertained an audience of Red Cross Tiffany Circle Summit attendees for a short performance at the organization’s Washington, DC headquarters. The Tiffany Circle is a group of women who donate $10,000 or more to their local Red Cross chapters annually.